We cannot say enough good things about HP and their Disability Employee Resource Group. 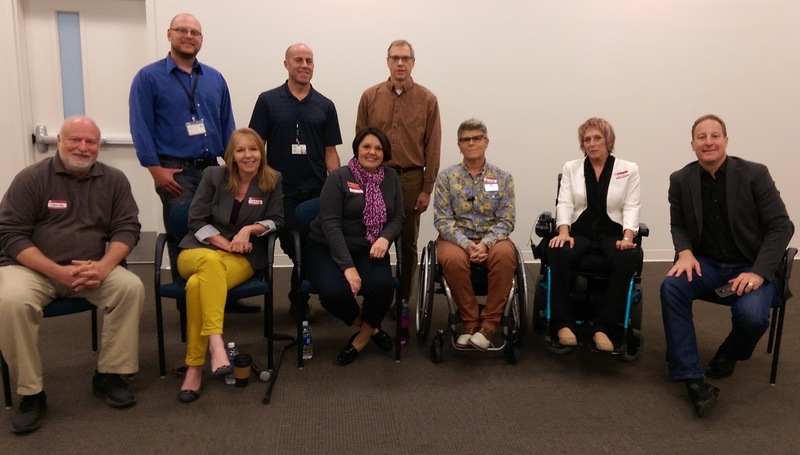 Members of the Consortium of Idahoans with Disabilities (CID) – partnered with HP’s Disability Employee Resource Group to participate in awareness building, resource sharing, and community development at HP during Disability Employment Awareness Month . HP’s willingness to create a diverse, welcoming, and supportive environment for their employees whose lives are touched by disabilities is to be commended. From Liza Long’s keynote on October 11, to the CID member resource fair on Wednesday October 12, to the Q & A panel on Thursday October 15. Panel Members included Moderator Michael Turner HP Alliances, Document and Industry Solutions HP Americas with speakers Steve Graci, Director Idaho Federation of Families for Children’s Mental , Angela Lindig, Director Idaho Parents Unlimited, Christine Pisani, Director Idaho Council on Developmental Disabilities, Mel Leviton, Director State Independent Living Council, and Dana Gover, Northwest ADA Center-Idaho. HP is laying a new foundation that embraces a culture of inclusion. Thank you HP! To begin the month of November on a positive note we asked members of HP’s Disability Employee Resource team to provide us with their thoughts and impression about disability in the workplace at HP. The rest of the article is from the team at HP including a quote from Lesley Slaton Brown, the company’s chief diversity officer at HP. Think about some of the greatest inventors of all time and names like Thomas Edison, Sir Isaac Newton and Albert Einstein typically pop to mind. No doubt, each made well-known contributions to our lives. What’s not as well known is that these historical figures also struggled with disabilities. Edison had a learning disability. Newton had epilepsy. And Einstein had Asperger’s Syndrome, a form of Autism. History teaches that innovation knows no physical or mental boundaries, which is why HP is pursuing a little-publicized effort to attract, develop and retain top talent from a range of backgrounds in Idaho. Noting that roughly one in three employees in Idaho have some form of disability, according to Cornell University data, HP recently formed a local disability Enterprise Resource Group (ERG) whose main purpose is promoting the benefits of inclusion in the workforce. Wikipedia defines inclusion as the idea that all people should act to freely; openly accommodate people with disability, for example by providing ramps and accessible toilets in meeting facilities. HP has been focused on diversity and inclusion for a while, having started Employment Resource Groups as far back as the 1970s for Lesbian, Gay, Bisexual, Transgender & Allies and Black/African American workers. The programs have grown considerably since then with the company sponsoring more than 260 diversity-focused events in 30 countries in 2015. Now HP is focusing on the Boise area, and it’s been incredibly busy of late. 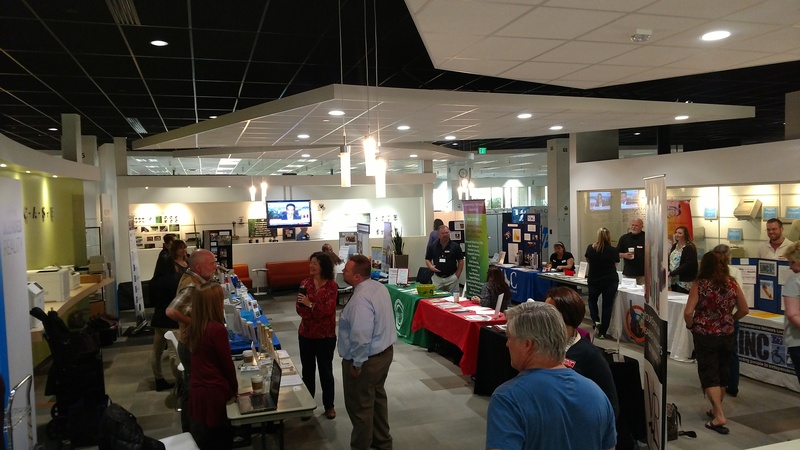 In October, as part of National Disability Employment Awareness Month 2016, HP held a series of events for its employees, including a keynote event featuring a nationally known speaker and author on bipolar disorder; an awareness fair to discuss resources for empowering workers with disabilities; and a Q&A forum to help people learn more on the subject. Interestingly, HP is also beginning to experiment with a mapping application called BluePath to help employees find local “disabled friendly” businesses. The company started by charting some of its own properties, such as its lobby and credit union. It is also sponsoring a series of voluntary “mapping parties,” where employees will locate local businesses to add to the BluePath map. Indeed, those comments are right in line with HP’s own view that its prospects – and those of any business really – are directly tied to having as diverse a work force as possible. “Diversity is embedded in everything we do,” says Lesley Slaton Brown, the company’s chief diversity officer. “The more points of view we can draw upon, the better our products, and the company as a whole, will be.” Brown notes that HP’s longstanding commitment to diversity and inclusion has been widely recognized by many organizations that track such things. For example, HP received the highest possible score of 100 on the 2016 Disability Equality Index (DEI), a nationwide benchmarking tool that objectively ranks the biggest companies on their disability inclusion policies and practices. HP was also listed as on the DEI’s “Best Places to Work” list. In addition to industry accolades, the company is also ranking its own progress – and being very transparent about what it discovers. Each year, HP issues a closely watched sustainability report that draws upon a wealth of internal surveys and other data to measure its success against goals for diversity and inclusion as well as its commitment to the environment, society and corporate integrity. HP says that programs such as the DEI and its own sustainability report help analyze its strengths and identify areas of opportunity across the organization. The company also uses these programs as a benchmark to compare itself to competitors and other businesses. In the end, HP believes the diversity and inclusion work it’s doing in Idaho and beyond will attract a wider mixture of top-notch talent and lead to more innovation. Quite possibly the next great computing device or mobile gadget or printer. And who’s to say they won’t find the next Edison, Newton or Einstein somewhere in that mix? It could very well happen.